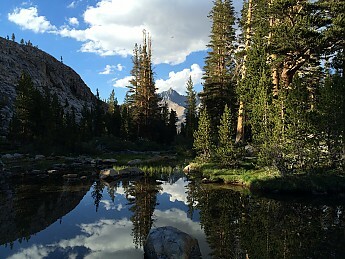 I spent the anniversary of the week of our nation's birth last week with 7 days in Mineral King. 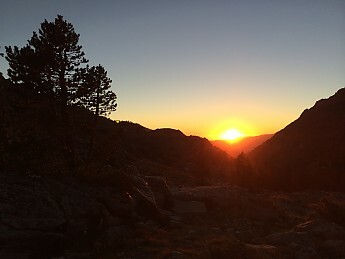 Hands down, this was the most amazing backpacking trip I have ever experienced in my entire life. 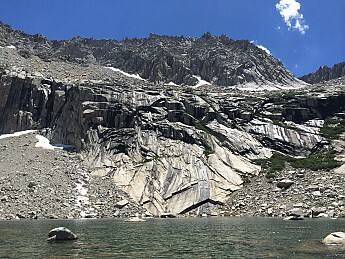 Countless alpine lakes, beautiful meadows, cross country scrambling, the spectacular Lost Canyon, and we capped it off with a summit to Sawtooth Peak at 12,300 feet. This trip truly had it all. 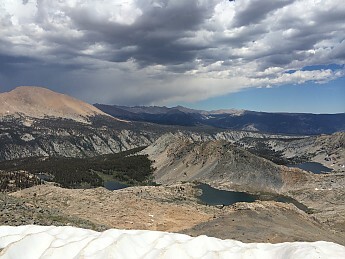 Day 2: Timber Gap to Little Five Lakes via Black Rock Pass at 11,600 ft.
Day 3: Layover day at Little Five Lakes with a cross country scramble over to Big Five Lakes. 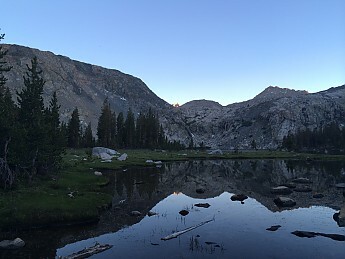 Day 4: Little Five Lakes to the split off of Lost Canyon/Soda Springs. 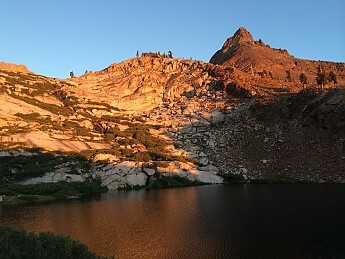 Day 7: Monarch Lake back to the trailhead and sadly back to our car =(. I just got back yesterday and I am still reeling from this trip. 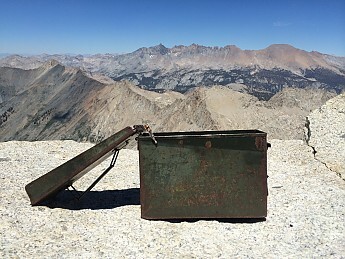 Thank you to @lambertiana @Bill S and @Bill H for the info to Mineral King. Big thanks to @lambertiana and @Patman because your trip reports last summer provided excellent information to the area. 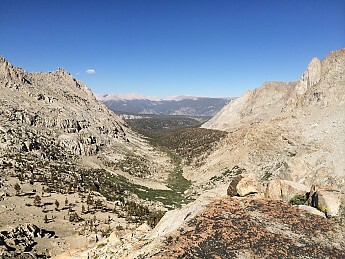 Lastly, the NPS ranger at Mineral King provided some great tips on camping areas and cross country routes. My only regret on this trip was going during the World Cup. 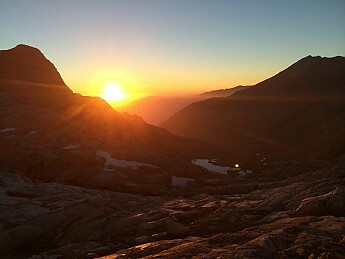 I had 4 years to plan for the World Cup, but the call of the mountains (and I must go!) were just too much. Of course, once we got back into cell service, I scrambled to look up all the highlights/news/results of the matches I had missed. I'm pretty bummed that Neymar will be missing the rest of Brazil's World Cup run. But in the end.. it was all worth it!!! I'll make sure I won't miss any of the NEXT World Cup 4 years from now! Good grief, man - those're some views you got yourself, there. Thanks for sharing with everyone, especially those of us here back in the woodlands! Looks like a heck of a trip, and doubtful you did anything but enjoy yourself! Thanks Eric! 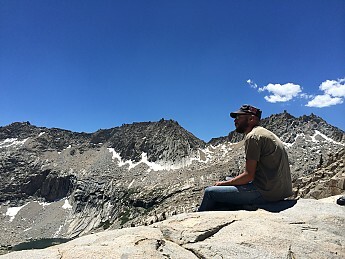 Come out west and we'll tackle some mountains! Sounds like a great trip! 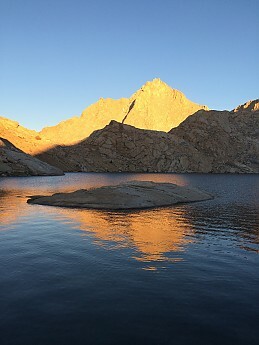 I'll be spending eight days out of Mineral King in three weeks, can't wait! Thanks @lambertiana! Your trip reports were truly helpful. 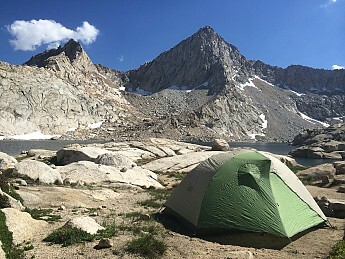 I probably wouldn't of gone to Mineral King if it weren't for your trip reports. Your pictures started making me jealous so I figured I should just go up there and see it for myself! That looks like a spectacular trip! Thanks for sharing it and your great photos, macchiolives. Nice report and photos. 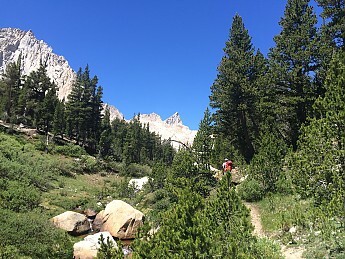 I've been to the park, but never to Mineral King (it's on my list). What's the deal with the tarps? I know marmots like to chew, but...what the heck? 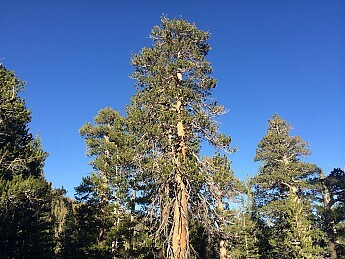 I like Sequoia/Kings Canyon a lot because of the big trees and the fact that it has not been loved to death like Yosemite. Ya know, one of these days, I may take ya up on that offer, Danny! Note to self, though: carpool with whomever drives the smallest, most compact vehicle...man, does it look like it took some serious coverage to marmot-proof that vehicle! Really spectacular pictures. If I hadn't seen it myself I wouldn't have believed that Marmots will chew through hoses and wiring but not through the tarp. I've seen pictures of people using chicken wire, yikes! Once again, thanks to everyone for the nice comments. They were very much appreciated! 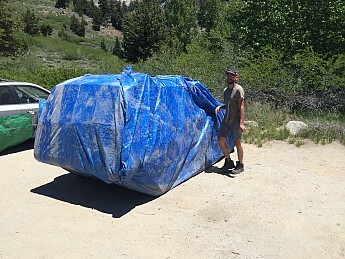 In regards to the marmots and "burrito wrapping" our car, the ranger told us that there was a chance that the marmots could potentially eat through the tarp. I've also read on other forums where the tarping method had failed, in which marmots did eat through the tarp. During this past trip, last week, we saw different methods to tackle the marmot issue. 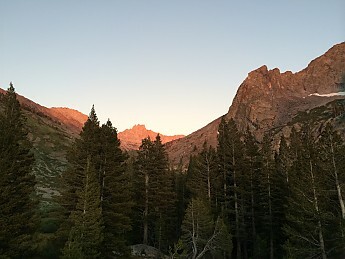 A couple we met coming down the trail, while we were still wrapping our car, simply left the hood open on their car and did the Franklin Lake loop for 5 days and drove away safely. Others would only partially wrap their cars, whether it would be just the front hood, the bottom half of their cars, or partially wrapping their car with tarp coupled with chicken wire surrounding the car. Part of our reservations of Mineral King was to have our car damaged during the week out, so we decided to just wrap the entire car. Luckily, there was no damage to our car when we returned. I was looking at @lambertiana's and @patman's trip report from last year just for fun and its amazing to compare the photos. 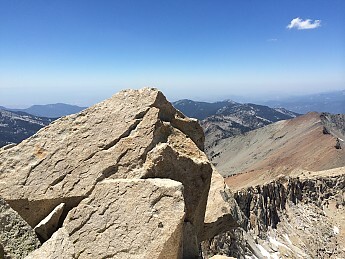 I still can't believe @patman that you climbed up to the fin on Sawtooth Peak! Too rich for my blood! Also, have fun @lambertiana in 3 weeks! I'd love to go back one of these days! Thanks once again guys! What a great trip - that's an awesome area! Ah, lovely . . . but I love the car wrap job more than anything. the few times I have been up there, just seen people wrap a good length of chicken wire around the base of the car. Very nice. 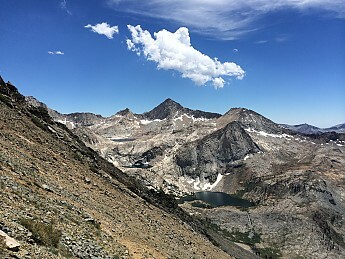 Going to be in this area in a couple of weeks, though we're approaching via the High Sierra Trail, and then looping back out that direction. Thanks for sharing, Danny! This is a beautiful report. It makes me miss SNP! 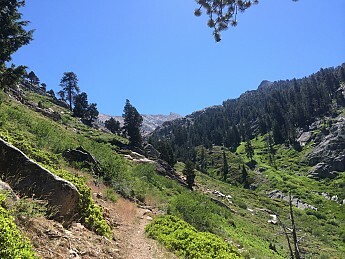 I never made it to the Mineral King area, but I am really glad you did and that you shared your report so I could see the pictures. 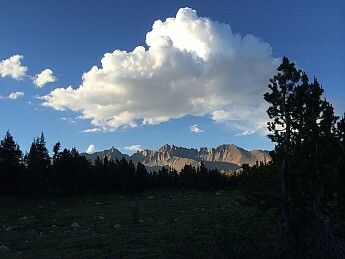 You are SO lucky to live so close to YNP and SEKI. Seriously, ANY and all reports that you do from that area are greatly appreciated!